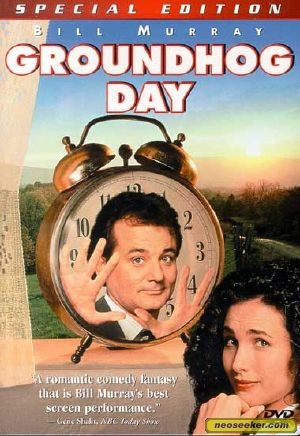 Obviously, on Feb. 2, Groundhog Day. Good thing one of those days Phil killed himself wasn't his last day. 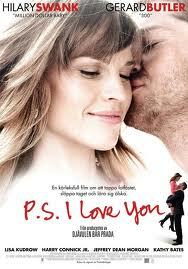 Feb. 14: PS I Love You. I cry through the whole movie when I watch it. What a great love story. I guess if I had Love Story I would watch that too. And cry through the whole thing. I love a good crying movie. President's Day: Sometimes I watch Holiday Inn. Not every year, but some years. Easter: Steel Magnolias What other chick flick would one watch for Easter? The first time I watched it, I was amazed at how you could be crying one second, then laughing the next. What an incredible cast! Between Easter & Halloween there is a definite lull. We don't have Independence Day on dvd, but....you guessed it: if we did, that's what we would watch on the 4th of July! Halloween: Rocky Horror Picture Show Did anybody ever go to the movie theater and join in the heckling? And, why in the world did we think it was fun to heckle a movie? I see myself as Sybil when all the kids are gone. She's such a cool mom, but, oh my, she will let people know if she doesn't like them! Christmas is my most favorite time of year to watch movies. I love the "feel good" kind of movies. The Holiday, Last Holiday, along with all of the classics. I forgot to mention one movie that has to be watched when it snows: Snow Day. Do you have any movies that you watch at certain times of the year? * For those of you remembering my friend (who is going through a miscarriage) in your prayers and thoughts: Thank you! Please remember her today as she goes to the doctor for another sonogram and will possibly be scheduled for surgery. She is having some complications with this miscarriage, so any and all prayers are appreciated! White Christmas, It's A Wonderful Life, Scrooged, TransSiberian Orchestra Christmas, The Nativity, and others. Easter we watch Jesus of Nazareth (that's really long so we usually take it in bits for the month before) and of course Veggie Tale offerings of said subject. I've never thought of attaching movies to other holidays - I'll have to think about doing this. Thanks for the idea! Oh you and I are so much alike. I have holiday movie lists too....and most of mine are yours. How funny. I love Elf at Christmas. And really all year round. I also love National Lampoons Christmas vacation at Christmas...and all year. Ok, no, I don't have holiday movies. Easter time I always like to watch The Ten Commandments. Love Actually is one of my top 3 favorite movies ever...it occurs around Christmas time but it is good to watch year round. I never get tired of it. Thanksgiving we generally watch The Sound of Music because its often on tv then. Sorry to hear your friend is still having so much trouble. I love to watch Arsenic and Old Lace with Cary Grant at Halloween. One of my favorite love stories is Breakfast at Tiffany's with Audrey Hepburn and George Peppard. Sounds like this will be a good weekend for staying in and watching movies. So sorry about your friend. She'll be in my thoughts and prayers. The movies you listed are my kinda movies, especially Steel Magnolias and Holiday Inn. I sincerely hope your friend is okay and recovers from this tough time. Awesome, awesome movies! You have great taste!!! So sorry about your friend. Losing a baby is just heart breaking!!! 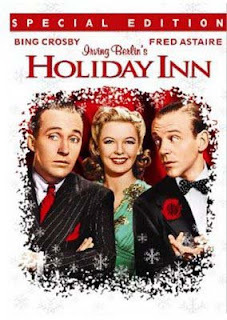 I love Holiday Inn, it's one of my favorite movies - and I rationalize watching it on any holiday! I also love 'The Holiday' with Cameron Diaz and Kate Winslet! I watch movies all the time. You will find me watching Christmas movies in June! 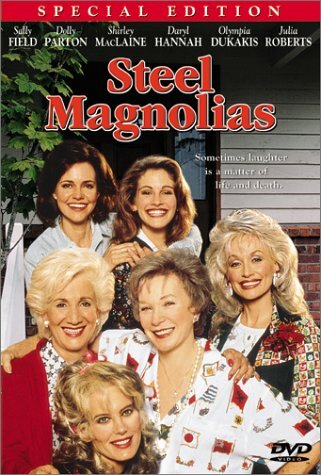 The first time I saw Steel Magnolias in the theatre I was drained. It is certainly a roller coaster of emotions. I do own each movie you listed except I don't have Holiday Inn or Rocky Horror. You listed awesome movies and if those of you reading this post haven't seen all of them I suggest you do! We wore our DVD player out, that's how much we like our movies. LOL! 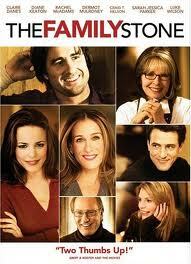 Groundhog Day and Family Stone are my favorites, too. Films for Easter? How about Secret Garden, Anne of Green Gables, or Miss Potter? Meet Me on Monday Continues!